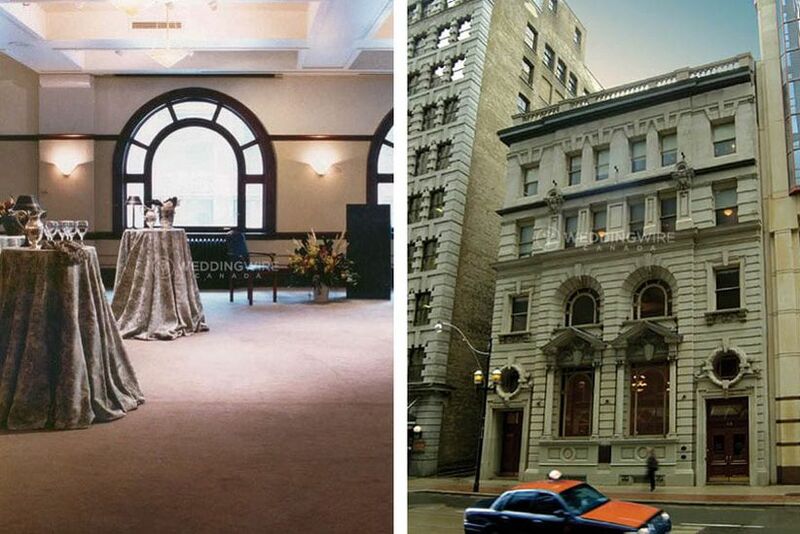 10 Vintage Toronto Venues Where You Can Tie the Knot | Wedding Ideas ARE YOU A VENDOR? Want to make your wedding an old-fashioned affair to remember? Here’s where you should be hosting it. 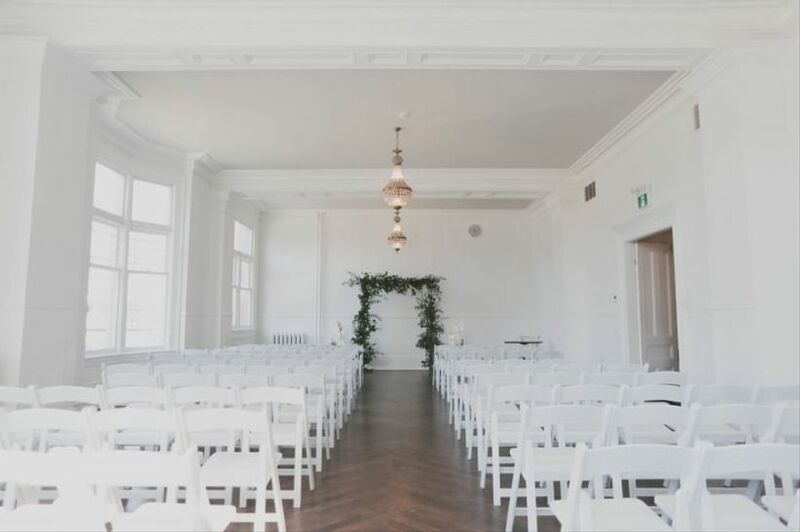 Dreaming of hosting a vintage wedding in Toronto? 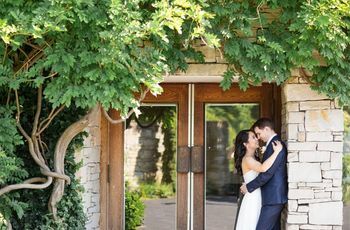 Lucky for you, this city has no shortage of stunning heritage buildings up for grabs, so you should have no trouble tracking down the perfect place to say your “I dos” (a castle, a manor and an old mill are just a few of the amazing Toronto venues available). Whether you’re looking to host an intimate affair or a 400-person event, there’s something on this list for you. 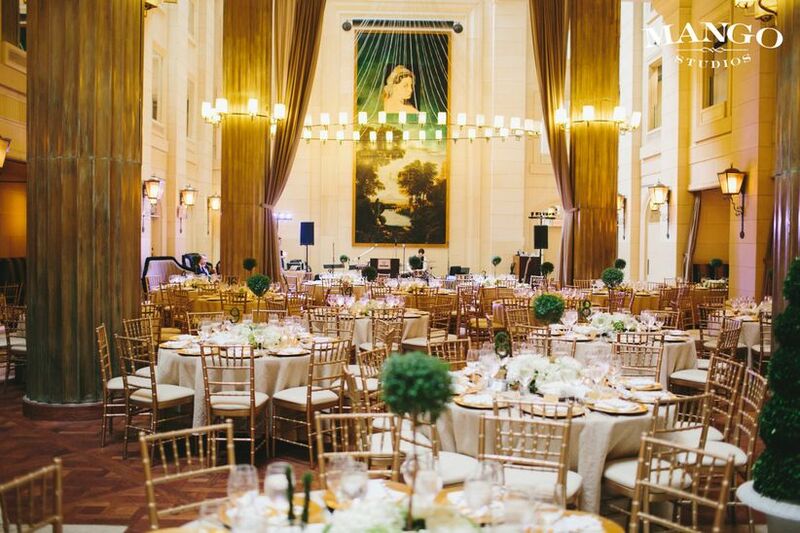 Here are a few stunning vintage Toronto venues where you can tie the knot. 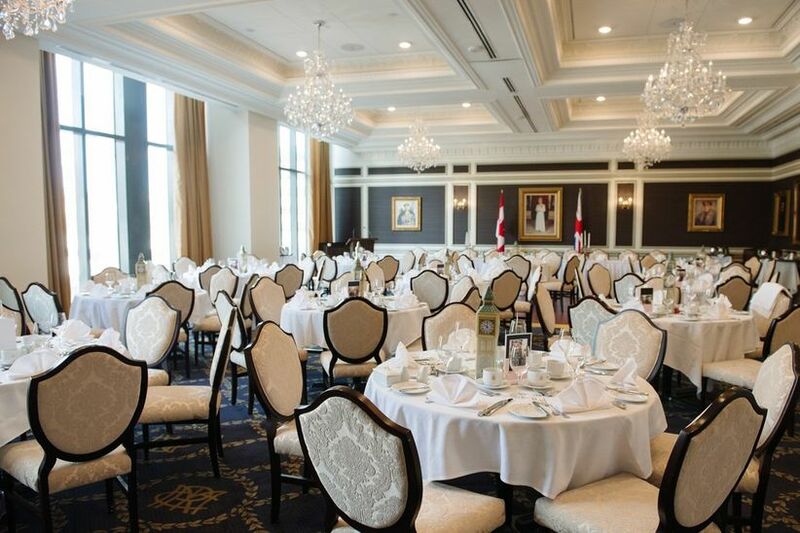 Head north of the downtown core to experience everything that Graydon Hall Manor has to offer. 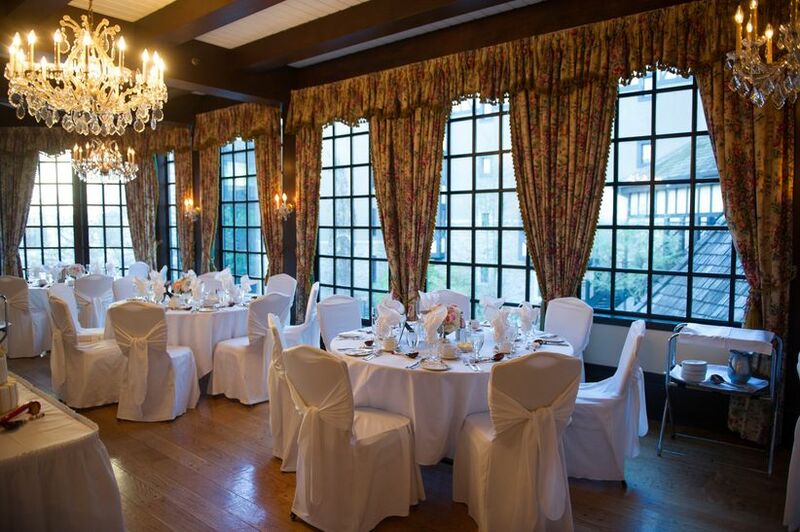 The Georgian-style venue was built in 1936 and is the ideal vintage getaway for your big day. It flaunts sweeping gardens, stone terraces, fountains, grand fireplaces, golden chandeliers, gallery-worthy paintings and more. The indoor capacity is 180 guests and the outdoor capacity is 250 guests. Smack on the corner of Queen and Dovercourt sits The Great Hall, an event venue with some real vintage flavour. Its main hall boasts coffered ceilings, a framed stage, massive chandeliers, patterned walls, wooden accents and enough room for 480 guests. 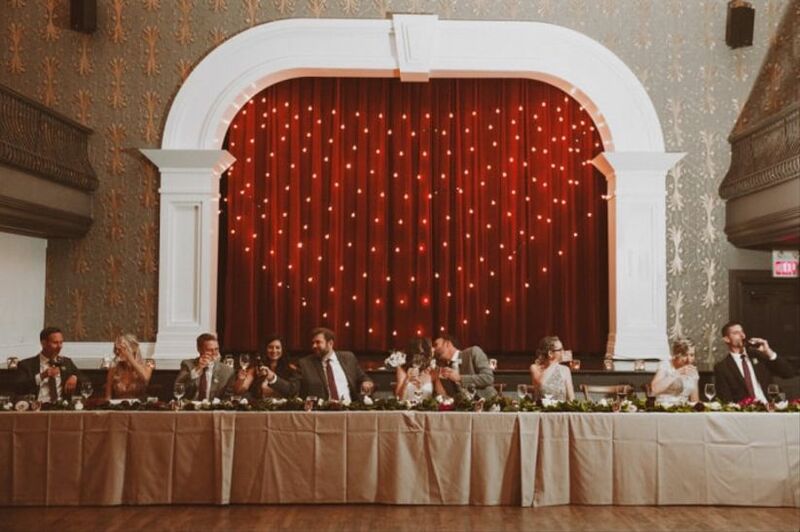 If that’s not your style, there’s also the industrial chic Longboat Hall (capacity of 400 guests) and the Victorian-esque Conversation Room (capacity of 117) and Drawing Room (capacity of 97). The Ontario Heritage Centre is a Financial District treasure that sits just west of where Yonge and Adelaide meet. It was built in 1909 and has maintained its Edwardian allure over the years. Inside you’ll find intricate wood and ironwork, tall ceilings, manually operated elevators and grand staircases. 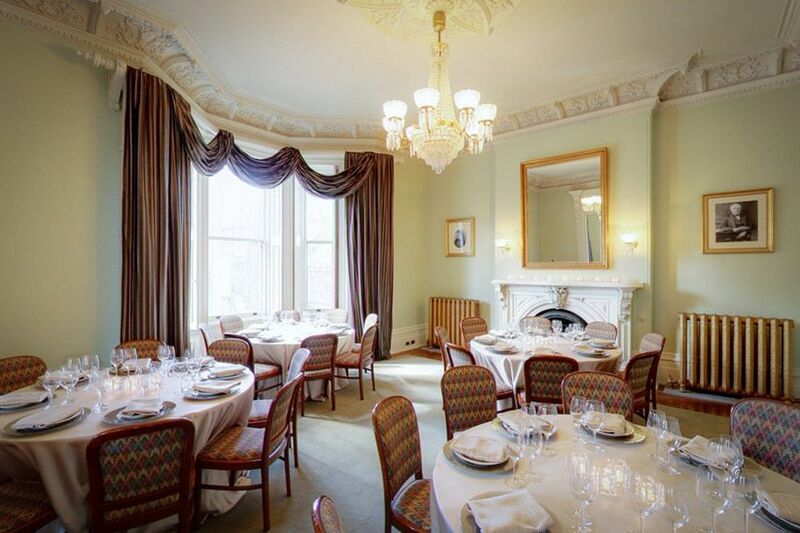 It has three rooms available for your big day: the Gallery (capacity of 160 guests), the Birbeck Room (capacity of 80 guests) and the Oval Boardroom (capacity of 12 guests). Want to take care of your “something blue” with your wedding venue? The Albany Club is the place for you. Its main dining room, which has a capacity of 160 guests, is a vintage oasis with cobalt walls, wood panelling, shimmering chandeliers and sky high ceiling. If that’s not your style, it has a handful of of equally charming, smaller dining rooms and a rooftop terrace available for rental. 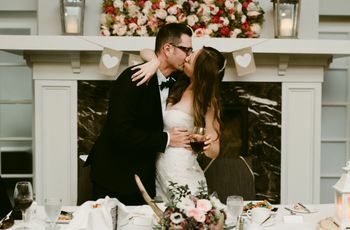 The Old Mill is a Toronto wedding favourite, and for good reason: it’s big, it’s beautiful and it’ll take care of everything from your linens to your presentation tables. It has been in business for more than 100 years and has an old-timey charm that just can’t be replicated. Inside you’ll find grand fireplaces, ornate ceilings, wood-heavy decor and enough space to host up to 500 guests. 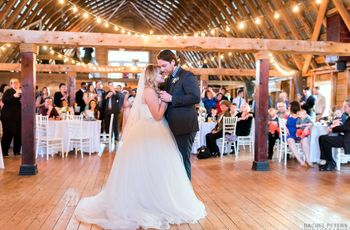 It has 13 rooms available, so you’re bound to find something that fits your wedding size and style. 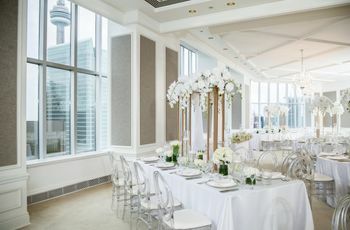 University Avenue has no shortage of stunning historical buildings, and the University Club of Toronto is one of its best, especially for weddings. 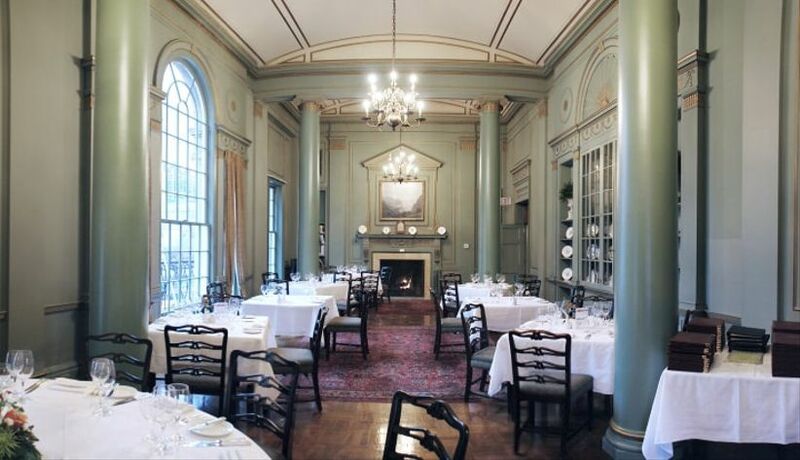 The Georgian-style space is equipped with everything from intricate fireplaces to Persian carpets, making it the perfect escape from the ultra-modern skyscrapers that populate the downtown core. It has seven spaces available and can host anywhere from 12 to 120 guests. This is another University Avenue gem, located just a hop, skip and a jump away from the University Club of Toronto. Elegant dining rooms with sparkling chandeliers, a stunning wood-heavy library and an old-school lounge make it worth scouting out for your vintage affair. 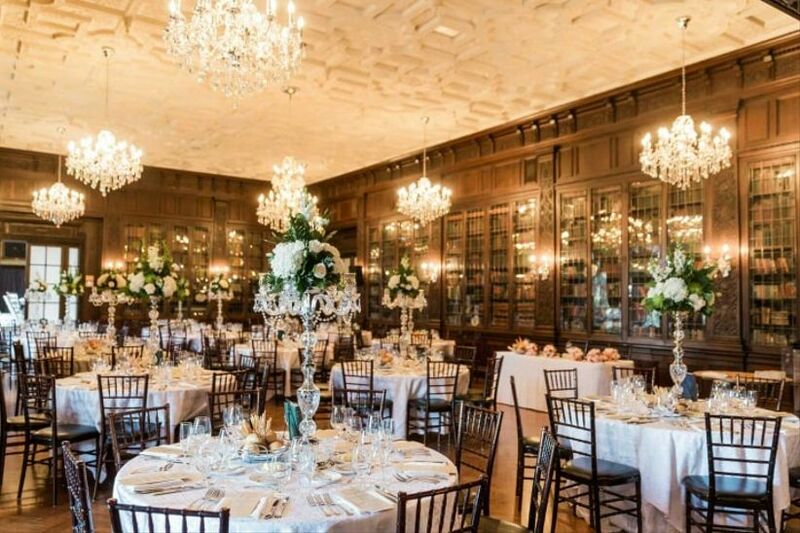 Its largest space is fit for 180 guests, but rooms like the library and lounge are perfect options for more intimate weddings. Want to feel like monarchs on your big day? 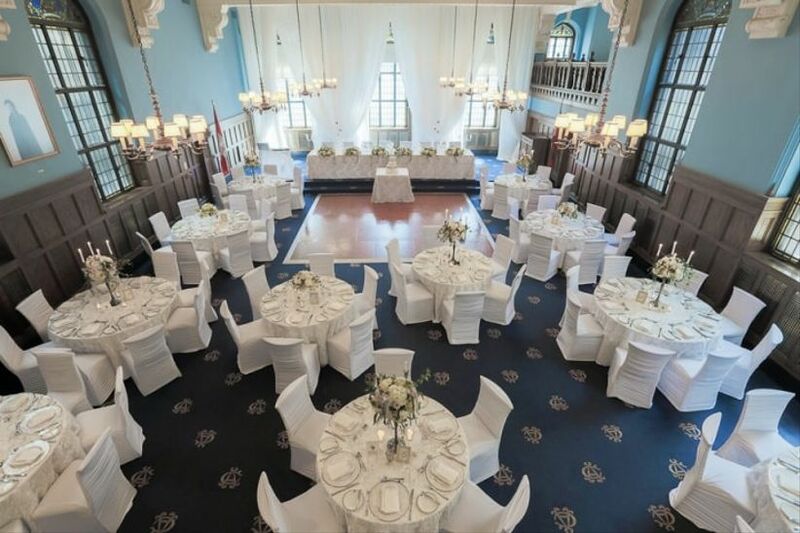 Head to Casa Loma for a wedding fit for royalty. This stunning castle has played host to its fair share of weddings, and it could be where you say your “I dos”, too! From a stained glass conservatory to beautiful gardens, this place has it all. It has five spaces available for events: the Great Hall, the Library, the Conservatory, the Terrace & Garden and the Glass Pavilion. The largest space, The Great Hall, can seat up to 250 guests. Head to Baldwin Village and you’ll find George Brown House perched on the corner of Baldwin and Beverley. 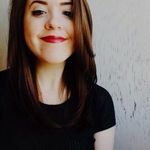 It was built in 1876 and boasts marble and ebony fireplaces, chic mahogany panelling and crystal chandeliers (so, needless to say, it gives off serious vintage vibes). 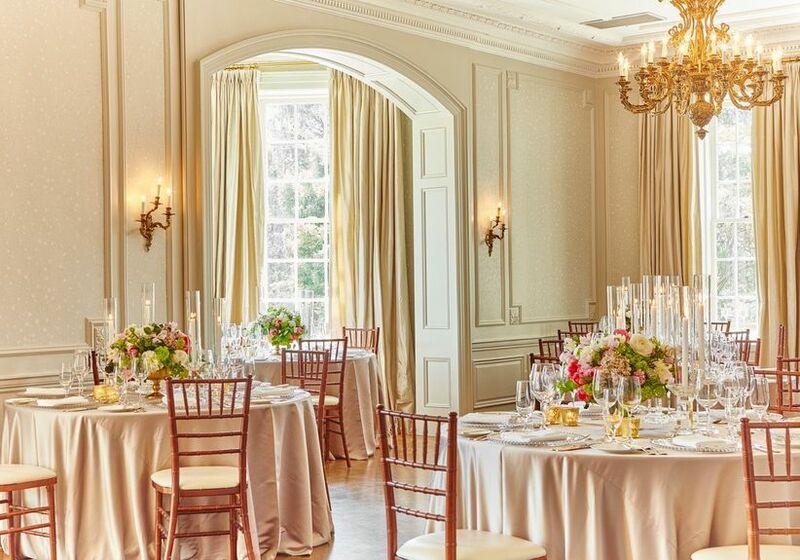 The house has three wedding-worthy rooms up for grabs, the largest of which has room for up to 90 guests. Want to say your “I dos” in Toronto’s luxurious Yorkville neighbourhood? Look no further than the Windsor Arms. The Victorian-style hotel features stunning fireplaces, elegant chandeliers, stained glass windows, massive paintings and more, giving it a real vintage feel. It can accommodate 250 seated guests or 500 people cocktail-style. Bonus: since it is a hotel, you and any out-of-towners can stay the night.